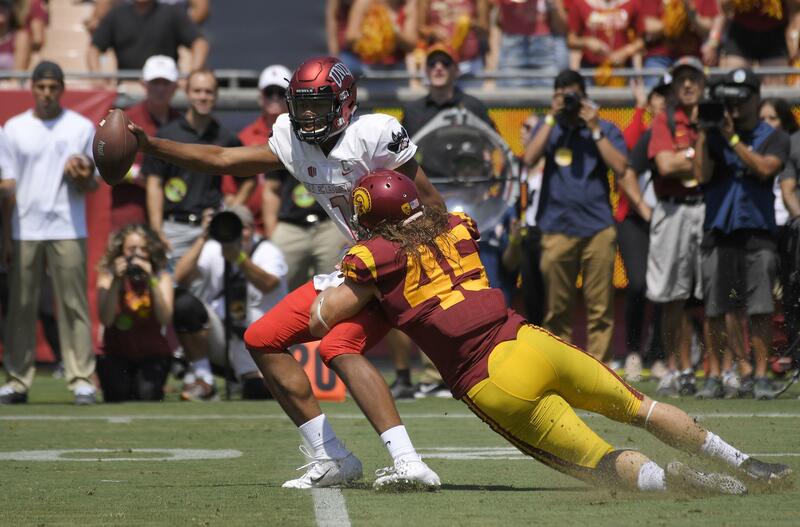 Tue., Oct. 16, 2018, 7:41 p.m.
LOS ANGELES – Southern California outside linebacker Porter Gustin underwent surgery to repair a broken ankle Tuesday. Gustin sustained the injury that ended his senior season late in the fourth quarter of USC’s 31-20 win over Colorado on Saturday night. He had 21 sacks and 33 tackles for loss during his college career, with seven sacks and 10 tackles for loss this season to lead USC in both categories, and projects as one of the top edge defenders available for NFL teams to draft next year. Published: Oct. 16, 2018, 7:41 p.m.